Hair fall, damage, split ends, and dandruff are some of the common hair problems faced by all. Earlier hair loss used to be a sign of ageing. Given today’s hectic lifestyles and work-related stress, hair fall is becoming noticeable early on. Instead of resorting to over-the-counter solutions or chemical treatments, why not try some holistic home remedies for hair growth that are safe effective and better still, you will find all you need in your kitchen! So how to grow new hair naturally? There are many advantages of going natural with hair care. The most important being the fact that it works and it is inexpensive. It’s like having the cake and the cherry at the same time! Onion Juice — Onion juice is rich in sulphur that boosts collagen production in the tissues and helps in regrowth of hair. Apply the juice on your scalp carefully and keep it on for 15 minutes. Finally, rinse off with a mild shampoo. Take the egg white in a bowl and add a teaspoon of olive oil and honey to it. Mix it all well to form a smooth paste. Apply it to your hair and scalp carefully. Leave it on for 20 minutes. Rinse with cool water and shampoo it off. Fenugreek — Fenugreek serves two purposes – it promotes hair growth and also protects the natural color of your hair. Soak a cup of fenugreek seeds in water overnight, or at least for four hours. Take them out of the water and grind them into a paste. Apply coconut oil on your hair, followed by the paste. Let it sit for at least an hour before rinsing it out and shampooing your hair. Repeat the process two or three times a week. Potato Juice — Potato is rich in vitamins A, B, and C. These are essential for healthy and strong hair. Apply this potato juice on your scalp and leave it on for 15 minutes. Wash your hair using a mild shampoo. Coconut Milk — Coconut milk is rich in proteins, iron, and other essential nutrients, and promotes hair growth and prevents breakage. Extract the milk of a coconut and apply it on the targeted areas or you can apply it all over your scalp. Keep it on overnight. Rinse off with cool water the next day. Green Tea — Green tea is rich in antioxidants. These antioxidants prevent hair loss and boost hair growth. Apply warm green tea all over your scalp. Leave it on for an hour. Rinse off with cold water. Gently massage coconut oil all over your scalp. Keep it on overnight and wash your hair the next morning. Cumin Seeds — Cumin seeds have numerous nutrients essential for healthy and shining hair and applying the paste on your hair promotes hair growth. Soak cumin seeds in olive oil or castor oil. Let them soak overnight. The next morning, apply the paste on the targeted areas. Wash after 15 minutes with a mild shampoo. Hibiscus Flower — Hibiscus is truly said to be the “flower of hair care.” This flower is used for curing dandruff and enhancing hair growth. Make a paste of hibiscus flowers with coconut oil or sesame oil. Apply it on your hair evenly. Rinse with a mild shampoo. Amla — Amla is a powerhouse of antioxidants and vitamin C. It promotes healthy hair growth and also improves the pigmentation of hair. 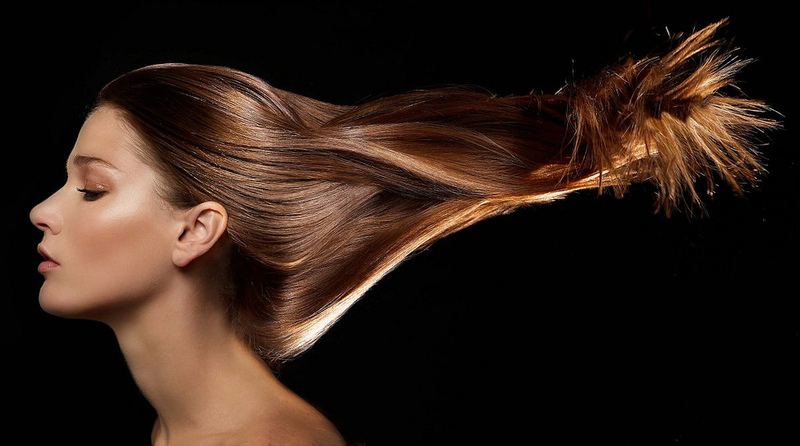 Let’s look at some key ingredients which will help you to regain a healthy and lustrous mane. Here are the various foods for healthy hair! Flax Seeds – It not only contain a high amount of iron, but are also rich in omega-3s which support scalp health and encourage hair growth. Poultry — especially chicken, has a high content of protein as well as zinc, iron, and Vitamin B which keeps the hair strands thick and strong. Oats — Oats aid in creating melanin and can also prevent hair loss. Oats contain minerals such as potassium, phosphorus, magnesium, and iron which boost hair growth. Green Leafy Vegetables — Green leafy vegetables are a great source of vitamin A and C and also have heavy doses of iron and selenium. These vitamins assist in the production of sebum, which conditions the hair and promotes hair growth. Milk — They are an important building block for hair growth. Milk is the major source for calcium and iron, and there an ideal hair growth food. Vitamin A Rich foods — Mango, papaya, orange, prunes, carrots are few foods that have a high content of vitamin A.